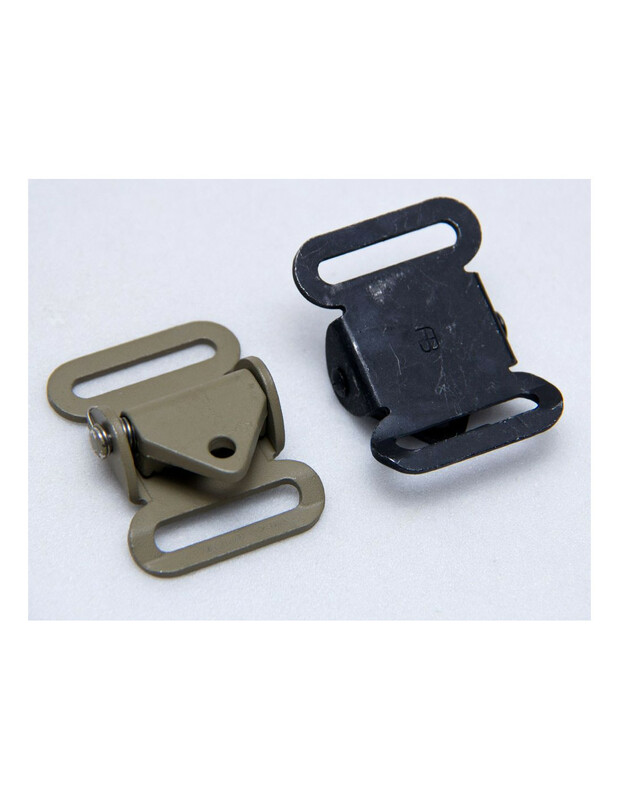 Sometimes referred to as a quick release cam buckles, these have been in use since the ALICE gear era and are still used on cool guy slings today. General idea is they restrict webbing movement to one direction until the spring release is pulled to allow webbing movement in both directions. Made of metal they are quite durable and the design offers a reliable grip. 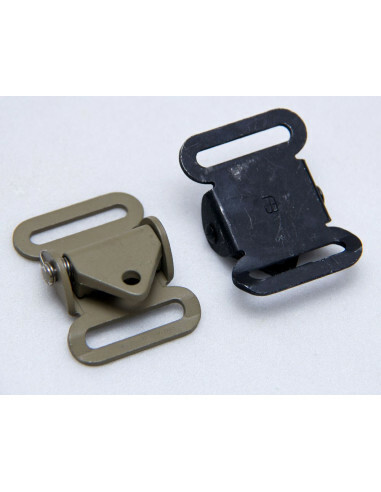 They come as hardware piece only and it is recommended to add your pull cord of choice.